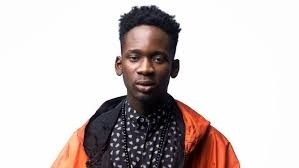 Mr Eazi will never forget his night at Manchester. The StarBoy International artiste, while performing at his ‘Life is Eazi' Detty Rave tour in Manchester, United Kingdom, tripped his foot on stage. Eazi slipped and fell in front of the crowd just a few seconds after he came out for his performance. But without hesitation, he stood up and continued to entertain the crowd. Recall that Seyi Shay made the news at this year’s All Africa Music Awards (AFRIMA) after falling on stage while performing, but she bravely stood up and continued her performance.